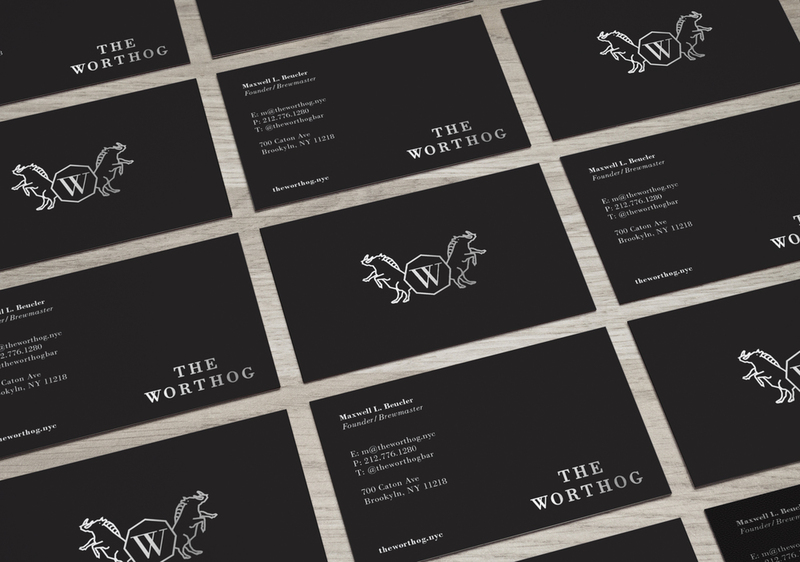 The Worthog is a modern speakeasy style brew pub. The front of the store is used to sell materials and recipe kits for making beer at home, while the back is an active bar serving beer made on site. The challenge was to make a logo and identity that could represent the atmosphere and organization of The Worthog. The solution involved using dark colors, with a modern symbol and copy referencing the values of the organization. The atmosphere will be dark and secluded with a secret society/ exclusive club feel.